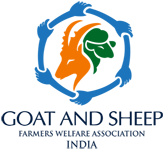 Goat & Sheep Farmers Welfare Association (GSFWA) is a national body registered under the M.P. Societies Act of India vide registration number 01/01/01/28951/14. The Association is comprised of professionals & planners, scientists, entrepreneurs, commercial goat or sheep breeders & farmers, etc. associated with small bovine sector across India. India is known for its distinct breeds of goats and sheep in good numbers. However the sector has remained static. Lack of suitable policies at government level and low infrastructure have limited the scope for right growth. Indian entrepreneurs get motivated from international news about the opportunities it carries. However due to lack of supportive government policies, outdated NABARD’s guidelines for funding of livestock projects, Banks & financial institutions’ rating of this sector as ‘high risk venture’ and there incompetence in technical appraisal of such projects has created an environment of fear and uncertainty among entrepreneurs to invest in organized commercial ventures for production of goat/sheep milk, meat and fiber. Due to its highly unorganized shape, the farmers are being cheated by brokers and middlemen by way of paying 40 to 50 percent of the prevailing market prices on live body weight basis. Our wool fiber doesn’t fetch good price in International markets due to its poor quality and sheep farmers need technical support in overcoming this problem. Milk produced by the indigenous breeds of goats possesses excellent therapeutic values, carries tremendous demand and fetches premium prices in Metro and large cities. Due to lack of infrastructure for machine milking, cold chain, processing and market linkages, producers are compelled to consume part of milk in house and sell the remaining portion at wholesale prices to local milk collectors at low prices. The same case remains for the Bucks and Rams reared for meat production. In the absence of a common platform, the sector has remained ignored in the past. With an intention to provide technical support to producer farmers and to provide boost the sector, some existing commercial farmers, professionals and technocrats came forward to form a national level body to address these issue. This is how Goat & Sheep Farmers Welfare Association came to existence. To disseminate safe milking practices and scientific management of health and nutrition of goats and sheep amongst farmers, Self Help Groups and Mahila Mandals. Upneet Rajorhia is a graduate in Agriculture & Animal Husbandry from G.B. Pant University of Agriculture & Technology, Pantnagar, Udham Singh Nagar, Uttarakhand with postgraduate diploma in Business Administration. He is the founder of the consultancy services by Market Visions Consultants, Karnal Haryana in year 1995. Upneet excels in providing specialized technology support and technical know -how to the clients in the fields of Hi-tech Dairy Farming (Cattle, Buffalo, Goat & Sheep) and Dairy Processing industries. The services covered range from customizing standard operating procedures, farm management practices, deriving technical specifications for procurement of animals and supplies, technology search, technology transfer, development of new process techniques to standardization of products technologies. Currently he is the Technical Consultant to a project worth 98 crores housing 5000 Cattle in Tamil Nadu. He also owns a Breeding farm for Goats & Sheep with different breeds in Sehore, M. P. He has very good experience in Artificial insemination, farm management practices, bio-security, and fodder crops cultivation, silage making and optimizing feed costs. Deepak Patidar is a graduate in Agricuture from College of Agriculture, Indore. He hails from an agriculture family background and grew amongst livestock. He established a Farm house in village Sundrel, Dhar, Madhya Pradesh based on Intensive goat farming with 500 animals of different breeds like Sirohi, Jamunapari, Barbari, and Jakhrana . He also has very good experience in organic farming and cultivation of cash crops (vegetables, grains, pulses, horticulture and other crops) and fodder crops cultivation and grass land development planning. He has expertise in Artificial Insemination in goats with very high conception rates. He actively participates in many of the Goat training programs run by the government & NGO’s in India. Recently he has signed a Memorandum of understanding with M.P. Livestock Development Corporation for transfer of technologies and practices to the farmers. He is the recipient of prestigious RASTRIYA BAKARI PANDIT AWARD (CIRG Mathura, U.P. , 2008) and BHUMI NIRMAN AWARD 2011 (M.P. 2011). Subhash Baira is a graduate and hails from an agriculture based family. He established a farm in Nizamabad, Telangana based on Intensive farming with approximately 1600 animals of different breeds of Goats & Sheep. He also has very good experience in organic farming and cultivation of cash crops and fodder crops cultivation and grass land development planning. He has expertise in Artificial Insemination in goats with very high conception rates. His farm was recently adopted by the government of Telangana to act as a training center for farmers.Currently, he is the largest Goat & Sheep breeder and farmer in the state. He is the recipient of the Progressive Dairy Farmers Award of government of Punjab. His farm also produces commercial grade of organic manure and silage. goat farm in the name of M D Goatfarms with Sojat, Sirohi,Barberi and African Boer breeds with a strength of 100 animals. Currently he is one of the largest goat farmers in the state of Maharashtra with over 600 goats of different breeds. His farms has become a staple source of supplies of quality goats for milk and meat. Laxman is also planning to venture into slaughter house activity with hermetic packaging and branding of meat for the markets of Maharashtra. Akbar has graduated with honors in marketing from York University, Canada with areas of specializations in Market Research, and post-graduation in eMarketing. He has an extensive and diverse professional career from international marketing of real estates to business solutions and overseas consulting, agriculture and small bovine farming. Currently he runs an organized Goat farm in the name of Qureshi Farm in Fatehpur which is the biggest goat farm in the Shekhawati Region in Rajasthan with the widest breed selection of Pureline breeds in India with Cross Breeds and Eid Bucks. Started in 2011, the farm’s shed is constructed as per international standards with a capacity of 500 goats and has placed in focus on genetics and breed development. The very reason it has some of the better performing bucks in the country and has played host to the International Traders, Progressive Goat Farmers and Scientists from different government research and development department. Visionary behind “Empowering Indian villages” by sharing progress and experience of Qureshi Farm, sharing knowledge & educational tips about goat farming via online tutorials & social media. For the program, he was awarded as the top 3 humanitarian person worldwide for the year 2012 under “Faces of Transformation” program by Nations United. Joginder was born & brought up in a farmer’s family. Agriculture and farming activities became his passion and way of life since childhood. Taking it forward he entered into goat farming in the year 2011 with a very small number of goats in Najafgarh, Delhi. In the last few years he has increased the farm capacity to house 500 goats. He aims to increase the capacity to 2000 goats in coming 2 years. Currently his farm focusses on breeds like Sirohi and Jakhrana. He is providing free technical support to marginal to small goat farmers in unorganized sector to become self-sustainable through goat farming. Praful is a graduate in Science and hails from an agriculture based family now into the business of timber and furniture. 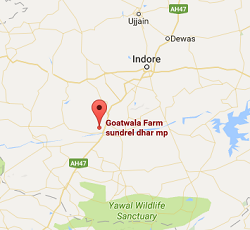 He established a Goat farm in Hathipura, district Aravalli, Gujrat. His farm has a capacity of 500 goats and has breeds like Sojat, Jamnapari, Barbari, Sirohi, Patira and Bital. Praful is currently establishing his base as a breeding center for these breeds. Praful excels in cultivation of fodder crops, silage making and production of organic manure. Qazi is an Information Technology professional and after serving the IT industry for few years, realized that he felt fascinated whenever came across a flock of goats. Just to satisfy his senses, he started with a very small number of goats in his village but gradually the farm capacity became 500 goats. Currently he has 140 does and 15 bucks for breeding and an additional 200 castrated bucks are being raised for Eid festival. As of now, Qazi is the only organized goat farmer in Uttarakhand. Due to extreme weather conditions in the state, there are very few breeds which can be reared. During last few years, he has done sustainability tests on breeds like Sirohi, Jakhrana, Sojat and Totapari. However he realized that those breeds were not fit in that agro-climatic region. Subsequently he successfully started rearing Beetel breed which has shown prominent performance in the UK region. He is also trying to develop cross breeds of Beetel with some non-descript local breeds known for their good meat quality.